Determined to make a contribution, Barry worked as a public policy advisor at both State and Federal levels in the late 1980s and early 1990s. He also served as NSW State Director of the Liberal Party in the mid 1990s. Barry was elected to NSW Parliament in 1995 and now represents the electorate of Ku-ring-gai. After holding key posts, such as Shadow Treasurer and Shadow Transport Minister, Barry was elected unopposed by his Liberal colleagues as NSW Liberal Leader in April 2007, he was elected Premier on 26 March 2011. 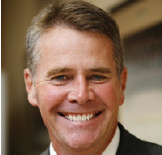 Andrew was first elected into Parliament as the Nationals Member for Oxley on March 27th 1999 and was elected Leader of the NSW Nationals in March 2003. Following the NSW Liberals & Nationals election win on March 26th 2011, Andrew was sworn in as Deputy Premier and took on his Ministerial responsibilities. As Deputy Premier Andrew will be a strong voice for residents of regional NSW, tackling the challenges facing the regions from the heart of Government, ensuring people living outside of the metropolitan areas receive their fair share. Richard Petty is Professor (Accounting and Finance) and Executive Director International at the Macquarie Graduate School of Management. He is Chairman of The Australian Chamber of Commerce Hong Kong & Macau, a past President and Chairman of CPA Australia, and a director of several other companies. 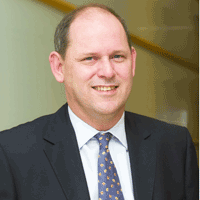 Richard is Deputy Chairman of the Australasian Reporting Awards and is Chairman of the Judging Panel for Hong Kong’s Best Annual Reporting Awards. Professor Petty was Chairman of CPA Australia (Shanghai) Limited from 2007 – 2012. Mr Rashleigh is Managing Director of Navy Health Ltd and has held his current position since he joined the company in July 1999. He has over 30 years experience in the Health Industry embracing health insurance, private hospitals and aged care facilities. He is a director and Acting Chairman of the Australian Health Service Alliance (AHSA) and President of the Health Insurance Restricted Membership Association of Australia (HIRMAA) and Chairman of the Australian Business Forum. He is a fellow of the Australian Institute of Company Directors and a fellow of the Australian Institute of Management. David Thomas is well known in Australia for his experience, credibility and passion for identifying, building and facilitating business and investment relationships between developed and emerging countries, and has led delegations to all of the four BRIC countries. With 9-year experience in marketing and communications, Doris Li has a great understanding of both Australia and China markets. Before joining ABF in 2012, she worked in Shanghai for five years providing consultancy to international companies on their China communications strategies and helped a number of multinational brands enter into China market. With a master’s degree in Global Media Communications from The University of Melbourne, Doris possesses deep understanding of media landscape in China and Australia, while having proven records in media practice and social media marketing. David’s current role is to help drive and expand the various Event & Media platforms offered ABF, by attracting leading experts from a range of industries across the Australian & Chinese political and economic landscapes. He has broad experience as a Media Strategist, Digital Marketer and Researcher, with a diverse background in all facets of business, particularly in Sales & Marketing operations. David has worked in Management roles with well-known Melbourne brand names including Salesforce, SEEK and Melbourne IT. 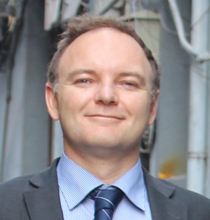 Mark Hawthorne is the National editor of Fairfax Media’s BusinessDay section which is published in The Age, the Sydney Morning Herald and the Canberra Times. Mark joined The Age in 2004 after seven years living in London, where he worked as a senior journalist with Conde Nast Publications. Mark has written feature stories for theage(melbourne)magazine, the daily business column for The Age. After a stint on the sports desk in 2010, Mark moved back to business and finance, where is had an investigative role and wrote a weekly column examining the corporate world. Luhua has been working in the areas of international development, trade and investment with a specific focus on China since 1994. Her current role as Senior Adviser is split between Greater China and Tourism Infrastructure. Between 2008 and 2011 Luhua was Senior Industry Adviser at Austrade and had a dual role – financial services and inward investment from the Greater China region covering all sectors serviced by Austrade. Prior to joining Austrade, Luhua served as Invest Australia’s Senior Investment Manager for Greater China and was a consultant for a number of AusAID programs in China, including the review of AusAID China Country Strategy 2002–05, China Capacity Building Program for the Chinese Ministry of Commerce, and the China Australia Governance Program for China’s Central Party School. Kobus has been working in Asia for over 18 years and is based in Beijing. Before founding The Beijing Axis, he was Head of Investment Strategy and Global Market Research for Asia Pacific for Standard Chartered Bank Plc and, prior to that, he was a Senior Strategy Consultant with the Boston Consulting Group (BCG) in Asia. In his early career, he was an Emerging Market Investment Strategist in London; a Treasury Economist with Standard Merchant Bank in Johannesburg; and an Economist with the South African Reserve Bank in Pretoria. Katie Malyon has been a registered migration agent for over 17 years and is recognised as one of the leading immigration law practitioners in Australia. Prior to becoming an Executive Director with EY, Katie operated her own boutique multi-award winning immigration law firm. Katie provides advice and assistance with a vast of immigration needs ranging from compliance related matters to complex immigration issues. Australian born Morry Morgan moved to Shanghai in 2001, and has been a key player in the growth of the HR industry in China. He is the co-founder of award winning training firm, ‘ClarkMorgan Ltd’, which is now in its 12th year and has trained thousands of Global 1000 and Chinese multinational firms. He is also closely connected to other aspects of the HR function, through the publication of NetworkHR magazine, China’s longest running bilingual human resources magazine. Since 2005, Morry’s print and online issues have been read by over 6,500 HR professionals quarterly.Morry is also the author of ‘Selling Big to China – Negotiating Principles for the World’s Largest Market’, published by Wiley in 2010. Charlotta Öberg, an award-winning cultural diversity specialist with cross-cultural experience from three continents over 20 years. She is committed to equipping people who interact across cultures with Cultural Intelligence, to contribute to their success, client satisfaction and thriving multicultural societies. As an experienced Board Member, CEO, Chairman, Business Events Ambassador, Association/NFP Executive and Health Executive Clinician, Caroline has held several key leadership positions throughout career. She makes things happen, has vision, tenacity & resilience. Caroline brings new perspectives to the major annual business event ACBW and helps to promote the event to a new level! Armed with multiple culturally and professional diverse expertise, Caroline is strong in fostering P2P, B2B and G2G relationships. Founder of Wadley Business Consulting and a Senior China Consultant at Ashurst China. 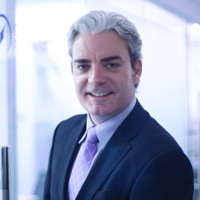 Located in Shanghai for over 11 years, Michael provides corporate advisory and legal services to foreign investors throughout China and to China outbound investors. He advises clients on legal issues including corporate governance, compliance, taxation, foreign acquisitions and investment as well as commercial aspects of the business Clients range from SME’s through to listed companies. Alistair Nicholas recently returned after nearly 13 years living and working in China. He is currently a Senior Advisor in the Public Affairs Practice & Crisis Management Practice of Weber Shandwick in Sydney. He previously headed up Weber Shandwick’s Corporate & Public Affairs Practices for the Asia-Pacific region from Beijing, China. 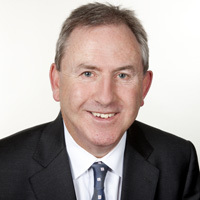 Alistair’s 25-years-plus career covers Australia, the United States and China; and includes senior positions in public affairs agency and in-house roles, in political advice, in government and diplomacy, and in journalism. 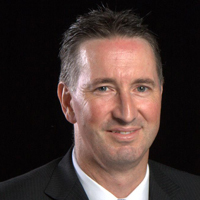 He has been a member of the Franchise Council of Australia for almost 20 years and has been a national director of the FCA since 2009. Michael is the CEO and founder of PACK & SEND, an Australian owned franchise system based on a unique retail business model that provides customers with convenient one-stop-shop solutions for sending anything, anywhere. Eric has worked in investment project, financial analysis and policy analysis in Australia and Asia area for more than 10 years. He has very rich experiences across financial institutions, government agencies and education sections. He has long been engaged in capital management and risk management for banking areas. His expertise in project management, bankruptcy prediction, analysis and management has also brought quite substantial benefits for government agencies. In addition, Eric is a PhD in financial analysis area. His innovative financial element theory has been practiced intensively across the different areas. 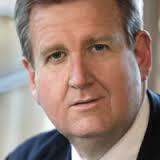 Eric was appointed to be General Manager of Australia Capital Financial Management Pty Ltd in 2012. Bill Zheng is the founder of Investors Direct Financial Group (IDFG), which is headquartered in Melbourne with offices in Sydney, Brisbane and Beijing. Since its inception as a mortgage broking firm in 2001, IDFG has now grown to include 7 business units: 1) Investor Education 2) Property Advisory 3) Financial Planning 4) Mortgage Solutions 5) Property Management 6) Property Development and 7) Funds Management. Currently IDFG manages the planning and execution of circa AUD$ 1.5billion per year of property investment and development opportunities in Australia and China. NAB’s Asia Desk is focused on connecting NAB’s bankers and clients in Australia and New Zealand with NAB’s established presence and networks across Asia, with offices located in Hong Kong, Singapore, China, Japan, India and Indonesia. Grant has over 18 years experience in financial advisory and banking sectors and has been with NAB in Australia and Hong Kong over the last 6 years. Grant has a Bachelor of Commerce, is a Chartered Accountant and has a Master of Applied Finance from Macquarie University. In March 2011 Danny joined the National Australia Bank as General Manager, China Banking and Country Head China based in Shanghai. Danny is Chair of the Bank’s China Risk, Pricing & Treasury Committee and is a member of the Bank’s Asian Leadership Team and Asian Risk Management and Balance Sheet Forum (ALCo) Committees. He is also a Director of the Australian Chamber of Commerce, Shanghai and Chair of the Chamber’s Financial Services industry group. 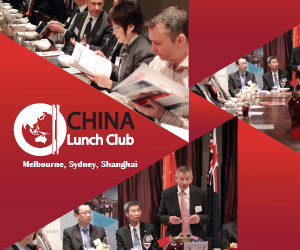 Richard is a strategic conduit between Chinese investors and the Australian corporate marketplace that are actively seeking investment into all asset classes. Peter Cai is a journalist with The Age. He was born in China and educated in Australia and England where he graduated with degrees from universities of Adelaide and Oxford. He was a policy officer at the Treasury Department in Canberra between 2010 and 2011, working on foreign investment and trade policy. He joined The Age in late 2011, covering Asian affairs and telecommunication. He has published academic articles and book chapters on modern Chinese and Japanese history, international economics and public policy. Robbie Burns is in his 8th year working in China. He previously worked in the EU in EMEA sales and marketing for NASDAQ companies before specialising in China sports marketing via his company PRCOOL “The Peoples Republic of Cool”. Robbie instigated and was involved in many “China 1st’s” in action and sports marketing in China. His last role was China Business Director for the O’Neill brand before partnering with John Wei and ChinaSEO. Ray Tettman is a patent and trade mark attorney, and Principal of Watermark Intellectual Asset Management. He acts for a range of local and overseas clients, providing intellectual asset management advice spanning from the identification and protection of intellectual assets, such as inventions and brands, through to the enforcement of intellectual property rights in Australia, China and elsewhere. Mandy Jiang is an Australian Chinese who has newly migrated from China 5 years ago. She is now the Director, Head of China Desk of National Australia Bank, one of the 4 main banks in Australia. The bank is the largest corporate bank in Australia and the first Australian bank to set up representative offices in Beijing in 1982. NAB’s Asian operation have grown to include 5 branches and 2 representative offices with over 450 staff that service clients in 17 countries across Asia. Vanessa Xing is a Consultant with Think Global Consulting and for the past 10 years has facilitated business and investment between Australia and China. 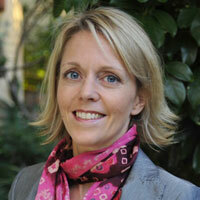 She focuses on all aspects of business in China, including advising on exporting Australian goods and services to the Chinese domestic market, identifying potential acquisition opportunities in both Australia & China, undertaking market research, assisting in the set-up of China based ventures and the identification and management of key risks associated with conducting business in China. She is active across a number of industries, including but not limited to the IT sector, services markets and finance and has extensive government and private sector networks in China and Australia. Ms. Zhao specializes in foreign direct investment, mergers and acquisitions, outbound investment and other corporate matters. She has advised multinational clients in a broad range of sectors including sports, automobile, natural resource, dairy farm, lottery, electronics, power, real estate, telecommunications and other industries. Ms. Zhao advises foreign clients in determining the most effective structuring of their deals, assists in the evaluation of potential business partners and performs due diligence on target companies or assets. Additionally, she drafts, reviews and comments on transactional documents, negotiates these documents on client’s behalf. Emma Wang is CEO of Honourplus Fund Management. She is an honour representative of Asia-Pacific Financial Investment Management. She also has vast understanding of financial investment structure, account reconciliation ,credit assessments and applications, high valuable debtor control, consultation and processing about tax returns. She is COO of Fxplus Trading Academy who specialized in trading management and marketing advice. , and also has over 10 years experience in working with some excellent experts and team throughout Asia and Australia. June has a B.A Business, Adv.Dip of Financial Planning and PHD Psychology (currently undertaking at Beijing Normal University). June’s management and project experience covers agriculture, SME business, banking & finance. June’s main goal is to bridge business opportunities between Australian small to medium businesses and Chinese investors and procurers of Australian primary products. Before forming AusAsia June was a representative of CBA SME operations in China and Vice General Manager of Hangzhou Bank (China) in Small and Medium Enterprises. June is president of the Australia-Chinese Business Women’s Association and Committee member of the Australia-Chinese community council of Victoria Chapter. Ms Dong Zhai has more than 6 years experience in the immigration services sector. A native Chinese Mandarin speaker, Dong has a long history of experience in assisting Chinese businesses with their corporate immigration requirements, and servicing high net worth individuals emigrating from the region. 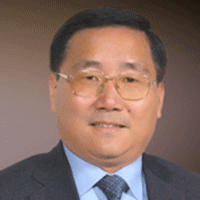 Dong has a strong working knowledge and understanding of Chinese culture, tradition and the Chinese commercial and regulatory context. After completing her Master’s Degree from the University of Sydney, and post graduate studies in immigration law and practice at the University of New South Wales, Dong went to become a registered migration agent with the Migration Agents Registration Authority and has continuously held this registration since 2007.